Please note that our conservation work on Somkhanda Game Reserve is largely non-volunteer based but is where the majority of our Community Outreach work takes place throughout the year. At certain times of the year, Somkhanda Game Reserve Management do request a team of Wildlife ACT volunteers to supplement the existing on-going monitoring efforts on the reserve. Over these specific times, we will place participants onto Somkhanda Game Reserve. The Wildlife ACT team’s focus on Somkhanda includes the monitoring of African Wild Dogs, Lion and Elephant. In addition to this, the team will assist with Rhino & Buffalo monitoring, as well as conducting camera trapping surveys across the reserve. During these monitoring sessions, any potential incidental sightings of other priority species including Vultures and Leopard, would also be recorded. Somkhanda Game Reserve is a community-owned game reserve managed by “Wildlands Conservation Trust” in partnership with the Gumbi community. 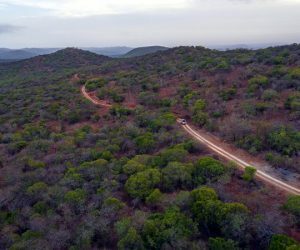 Somkhanda is the first community-owned reserve to be proclaimed under the Protected Areas Management Act, meaning that this community has committed their land to biodiversity conservation for the foreseeable future. 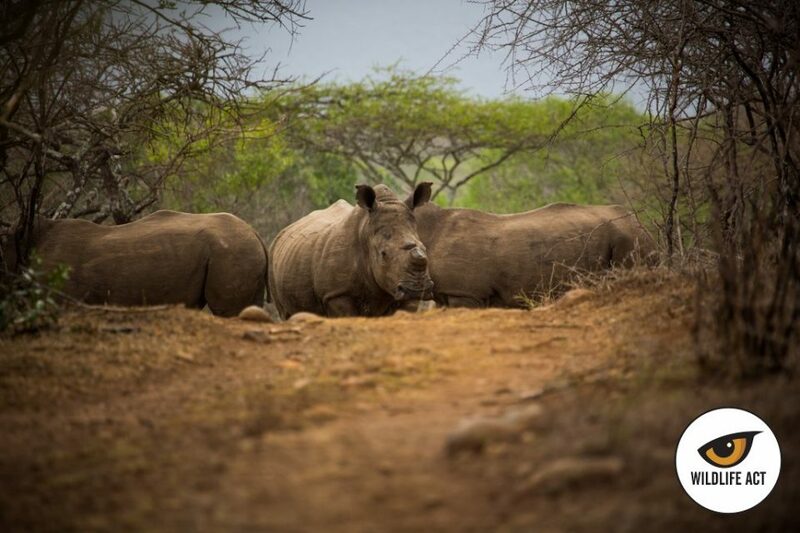 Somkhanda is supported by the WWF “Black Rhino Range Expansion Project”, and has a healthy population of both Black Rhinos and White Rhinos that Wildlife ACT helps to monitor. Somkhanda Game Reserve has a large number of species of both fauna and flora and is home to about 230 bird species. Besides breathtaking scenery, a number of game species can be found on Somkhanda, including the Big Five (Rhino, Elephant, Buffalo, Lion and Leopard). There are no Cheetah on the reserve but it is home to a rich diversity of other wildlife including African Wild Dogs, Spotted and Brown Hyena, Giraffe, Zebra, Blue Wildebeest, Kudu, Nyala, Impala, Bushpigs, Warthogs, as well as some rarer species such as Jackal, Aardvark, Honey Badger, Serval and Caracal. Wildlands Conservation Trust has assisted with re-introducing a number of different species into the reserve to boost game numbers. African Wild Dogs were introduced to the reserve in 2014 to fulfill the conservation objective of saving endangered species, and reintroducing natural predation into the system. After being forcibly removed from the land in the late 1960s, the Gumbi people had the land restored to them under the Land Reform process in 2005. Large portions of the land were previously settled by white game farmers and when the land was restored to the Gumbi people, they decided to keep the majority of their land under conservation and to create a consolidated game reserve that could be used as an economic engine to drive development in the community. As such, partnerships have been formed with the Wildlands Conservation Trust and the World Wildlife Fund. Various skills-development projects have been derived from these partnerships that would ensure that Somkhanda Game Reserve is sustained by the community. What Makes Somkhanda so Special? Somkhanda Game Reserve is situated within a Key Biodiversity Area. The site is also located along a very important biodiversity corridor and improving the area will lead to the realization of these corridors and the creation of mega reserves. These corridors are important for migratory animals such as the endangered Black Rhino and African Wild Dogs. In addition to direct jobs that are created, development here also produces a net income to the community of which a portion is used to catalyse and support sustainable community development. 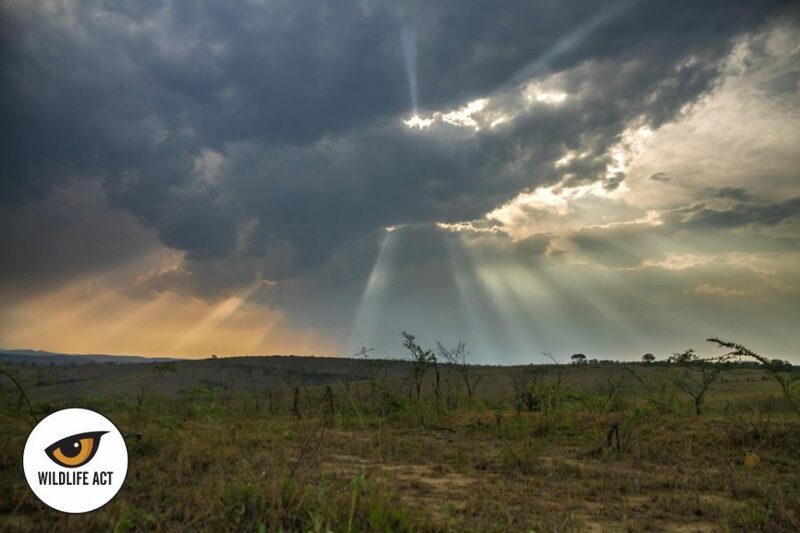 Somkhanda Game Reserve is special for many reasons, but one reason that stands out is that the community are trying to help save the wildlife that live on their doorstep and are ensuring that their land is conserved. The reserve is also relatively free of tourists. A lot is still to come for this special habitat and ecosystem.